At 240 dpi, the 3.0 mp camera can only produce a print of about 6 1/2 x 8 1/2 inches before you have to upres the file. When you upres a file in post-processing, the software has to make up additional pixels based on adjacent pixels. As the chart shows, if you have a 13-inch desktop printer, you can print an image from a 12 mp camera at 240 dpi without any interpolation. Higher resolution cameras allow you to make bigger prints at the same resolution. 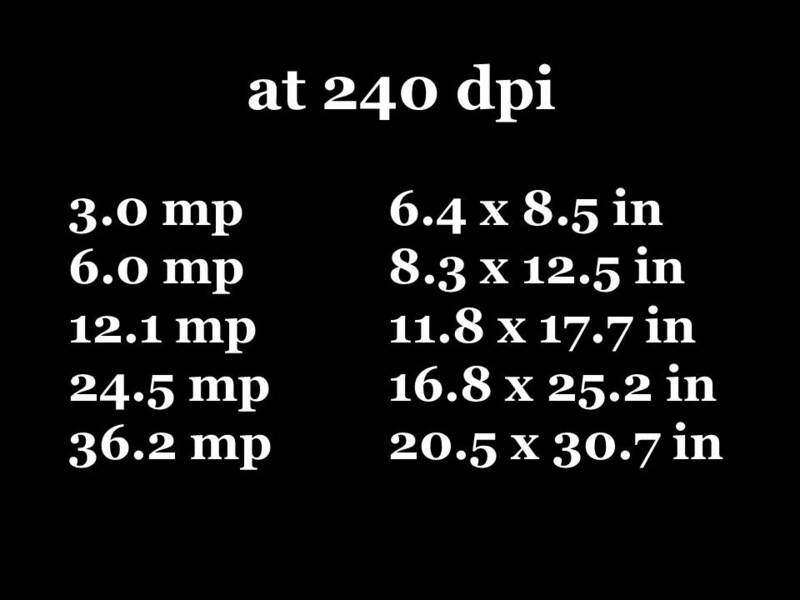 This chart shows that a 36 mp camera, like the Nikon D800E, will yield a 20 1/2 x 30 1/2 inch print at that same 240 dpi. 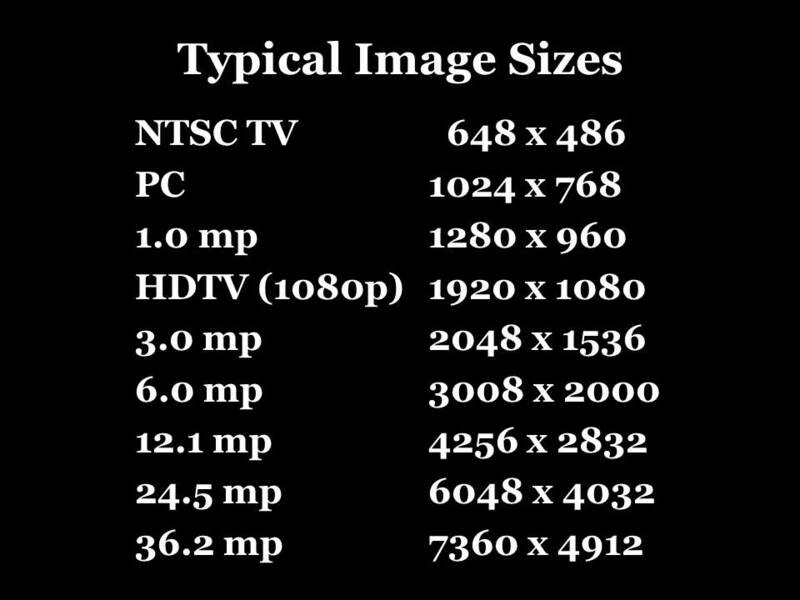 So while even a 6 mp camera has more resolution than almost any display (my 30″ NEC 3090WQXi display’s resolution is 2560 x 1600), more pixels will translate into larger possible prints. On the other hand, even a 3 mp camera will provide more than enough resolution for e-mailing, social media, HDTV slide shows, or cell phones and tablets. Of course there are many other advantages to higher resolution digital camera sensors than just print size, and these can show up even in small prints. But that, too, is a topic for another post. ©2013 Tom Vadnais Photography. All Rights Reserved.